Today is the International Day of Peace, better known as World Peace Day. 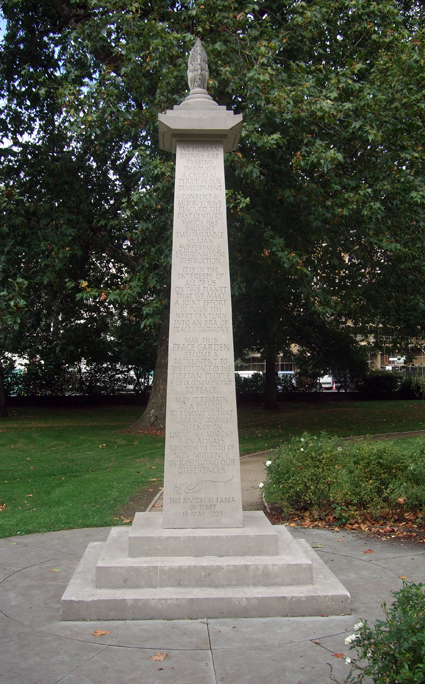 It is observed every year on 21 September – and I say observed rather than celebrated as there is so much conflict in the world at the moment. The day is dedicated to world peace – specifically the absence of war and violence, even temporary ceasefires in a battle zones for humanitarian aid. The day was inaugurated in 1982 and is now honoured by nations, political groups, military groups and people all over the world. 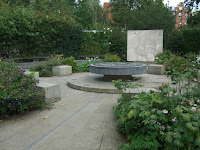 The pictures on this post show the Tibetan Peace Garden, in Southwark, South East London. 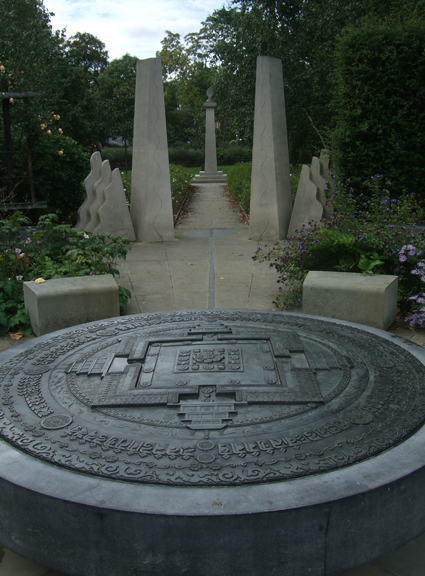 The garden was opened by the Dalai Lama in 1999. 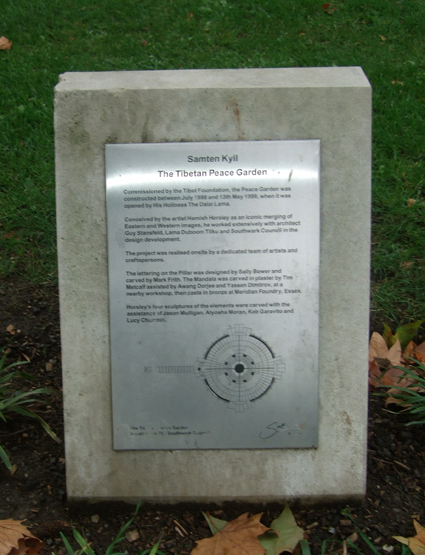 The website for the garden says: "The Tibetan Peace Garden honours one of the principal teachings of His Holiness – the need to create understanding between different cultures and to establish places of peace and harmony in the world." 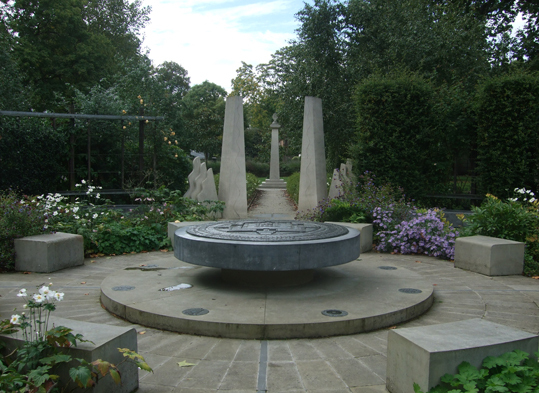 The garden reflects Buddhist beliefs about peace – which feel to me quite in keeping with many pagans’ views on peace too. We human beings are passing through a crucial period in our development. May it remain as a symbol to remind us that human survival depends on living in harmony and always choosing the path of non-violence in resolving our differences. For me, the location of the garden carries a stronger message than all the flowers, mandalas, sculptures and messages. 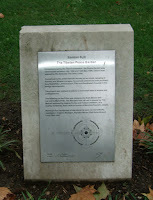 It is right next to the Imperial War Museum. 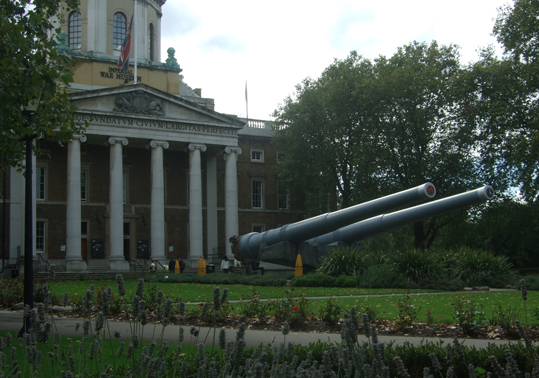 When you walk through the garden and emerge from its protective circles of paths and hedges, you are immediately faced with two huge guns outside the museum. The effect is jolting, even shocking. Yet the guns are silent – and, although I have never been inside the museum, I am told it is more about honouring the lives – and deaths – of those who fought in wars that are now ceased than it is a celebration of all things martial. May the guns fall silent in the world today.